édité le 07/03/2017 - Plus de news de "BAKER HUGHES" - Voir la fiche entreprise de "BAKER HUGHES"
General Electric Company and Baker Hughes Incorporated announced that the companies have each received a request for additional information (“second request”) from the United States Department of Justice (“DOJ”) in connection with the pending combination of GE’s oil and gas business with Baker Hughes. The second requests were issued under the Hart-Scott-Rodino Antitrust Improvements Act of 1976, as amended (“HSR Act”). GE and Baker Hughes have been working cooperatively with the DOJ as it conducts its review of the transaction. The second requests were expected and are a normal part of the DOJ review process. The effect of the second requests is to extend the waiting period imposed by the HSR Act until 30 days after GE and Baker Hughes have substantially complied with the requests, unless that period is extended voluntarily by the parties or terminated sooner by the DOJ. The transaction remains subject to approval by Baker Hughes’ shareholders and other approvals, as well as customary closing conditions. 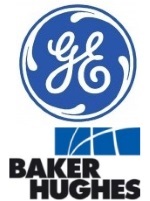 GE and Baker Hughes expect the transaction to close in mid-2017. GE Oil & Gas is inventing the next industrial era in the oil and gas sector. In our labs and factories, and in the field, we constantly push the boundaries of technology to solve today’s toughest operational & commercial challenges. We have the skills, knowledge and technical expertise to bring together the physical and digital worlds to fuel the future..
Baker Hughes (NYSE: BHI) is a leading supplier of oilfield services, products, technology and systems to the worldwide oil and natural gas industry. The company’s 33,000 employees today work in more than 80 countries helping customers find, evaluate, drill, produce, transport and process hydrocarbon resources.